Charlotte County School Board Members: R.B. (Jay) George-Keysville District, Gloria Talbott-Drakes Branch District, JonPaul Berkley-Bacon/Saxe District, Robert Johnson-Aspen/Phenix District, Larry Fannon -County Seat, Teresa Dunaway-Red Oak/Wylliesburg District, and Henry Carwile-Cullen/Red House District. The members' names are linked to their email addresses. provide a comprehensive instructional program that adequately prepares students with skills needed to compete and be successful in a global society. continuously evaluate procedures in order to efficiently utilize existing resources while effectively planning for future operational needs. upgrade, update and expand technology application in order to stay ahead of demands of trends of 21st century educational needs. implement strategies to foster sustainable family-school partnerships. increase opportunities to expand and foster partnerships and cooperation with the community. foster an environment conducive to open dialogue between and/or among employees. improve accountability system for all jobs that require supervision of employees (i.e. principals, assistant principals, athletic directors, coordinators, directors and School Board Office staff). continue documentation of low-performing teachers. develop employee salary step increases. continuously budget for employee raises. increase internship and job placement opportunities for students (career/technical training). develop and implement an industry, on-site observation plan for teachers with compensated time. provide intervention programs for students at the middle school level with emphasis on students at an early age while they are still impressionable. provide data-driven summer remediation programs. improve energy efficiency in schools for cost savings. recognize patterns of bullying and effectively implement suitable solutions. maintain safe/secure learning environments for all students and employees. create community partnerships to fund field house construction. develop and maintain a replacement schedule for school buses and other school vehicles. implement the 6-year facilities plan for the secondary schools (R-H, CMS). either implement the “elementary” part of the 6-year facilities plan or build a new consolidated Phenix/Bacon school. work with the Charlotte County Board of Supervisors to accomplish consolidation and/or renovation of the elementary schools. Click here for the April 2019 agenda. Click here for the next agenda. 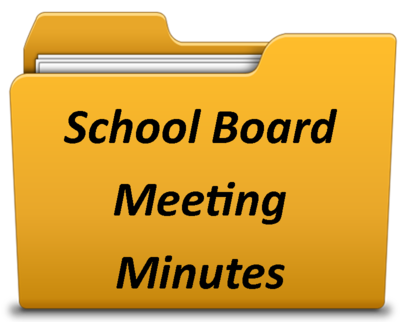 School Board Meetings are held in the Charlotte County Administration Office Boardroom at 250 LeGrande Ave., Suite A, Charlotte Court House, VA unless otherwise noted above.